Incontinence and irritative voiding symptoms are challenging issues patients may encounter after prostate surgery. We continue to modify our technique to minimize time to urinary continence and irritative voiding symptoms. 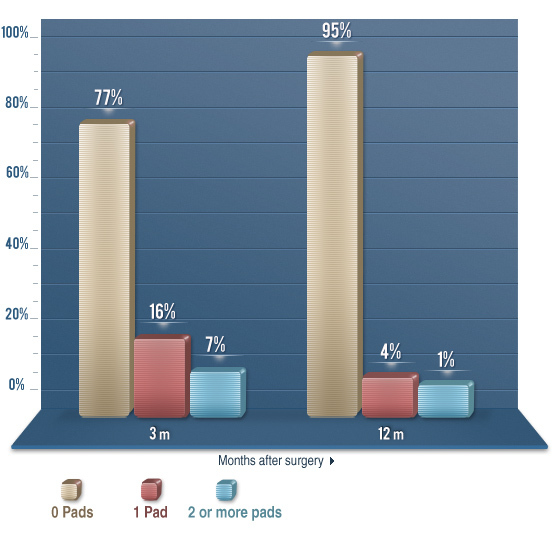 The majority of patients regained urinary control by three months. Approximately 94 – 96% of patients are continent of urine one year after surgery. As men age, irritative urinary symptoms can become more pronounced. This usually is attributed to an enlarging prostate. Men may develop an array of symptoms including urinary frequency, intermittency, urgency, weak stream, straining and incomplete bladder emptying. Removing the prostate has a favorable effect on patients with irritative (obstructive) urinary symptoms. 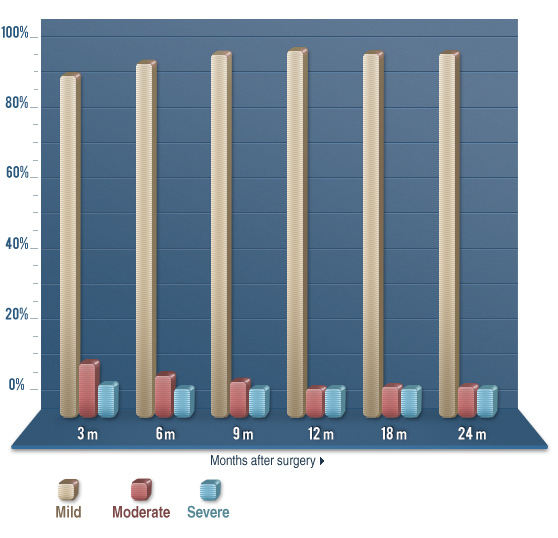 Three months after surgery, over 90% of patients report normal voiding symptoms. Over time, approximately 97-98% of patients continue to experience only mild urinary symptoms. 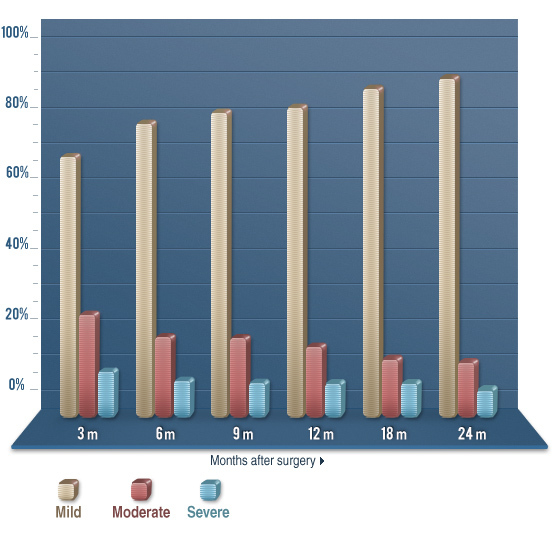 Most patients with moderate or severe urinary symptoms before surgery resolve by three months after surgery. 88% of patients improve over time, experiencing only mild(normal) urinary symptoms.